For visitors who want to experience the African bush in comfort, our individually themed luxury tents provide a comfortable and unique experience, with superb views of the mountains, bush, and waterhole in front of the lodge. 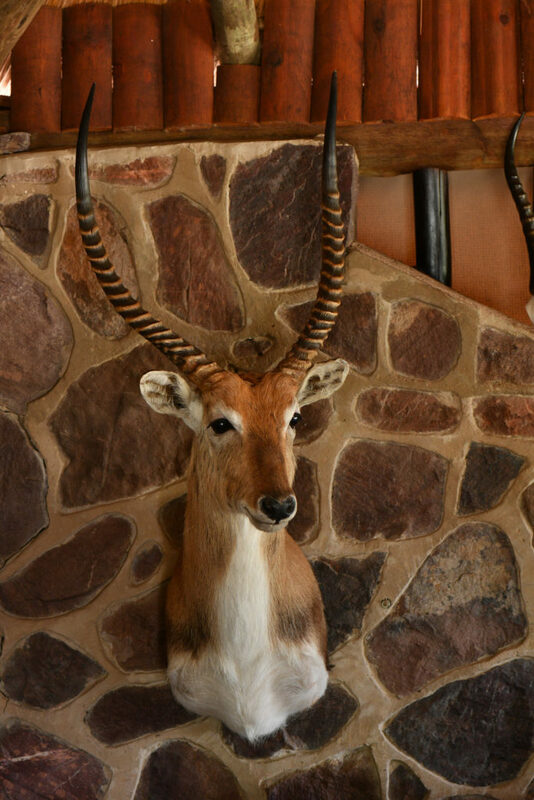 The lodge camp is unfenced, so guests have an exceptional opportunity to view game. Each of the six tents accommodates two people and has hot water and electricity. 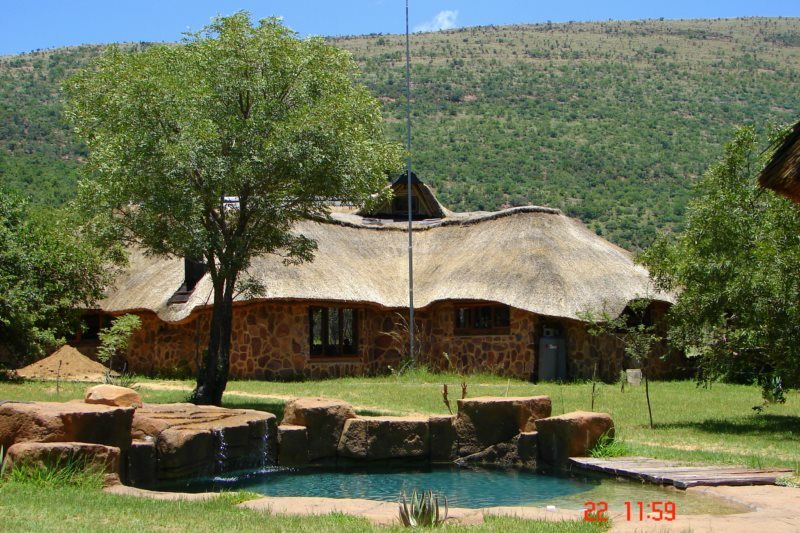 Meals and drinks are provided in the thatched lapa, which also has a lounge and fireplace for those chilly evenings. The game-friendly pool is a great attraction in summer. Game drives, walks, photography and bird watching are provided by our knowledgeable and experienced staff. Our camp is Bird Life Africa approved. Night drives and viewing of wildlife supplemental feeding can be arranged on request. 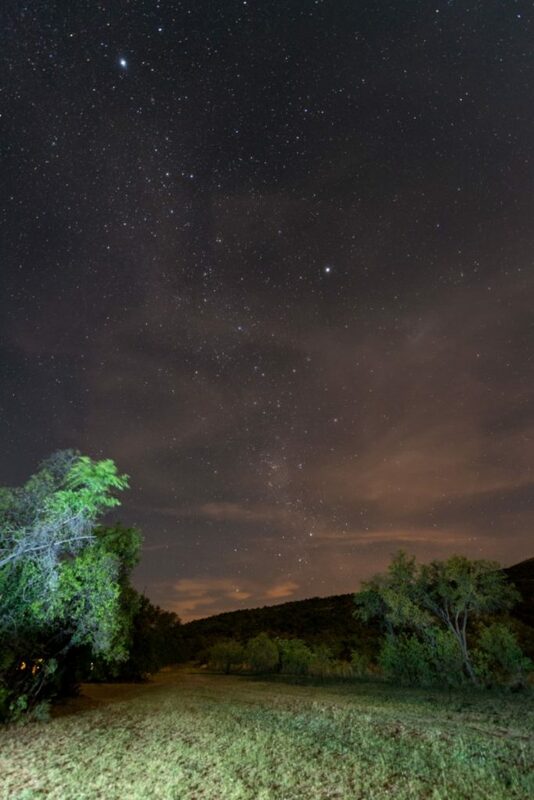 The universe provides an astonishing night sky, which can be viewed from the boma at the lodge. DWR can also organise a guided stargazing evening by an astrophysicist, Dr Phillip Calcott. An experienced bushmaster and associate of DWR, Les Brett runs a series of courses in our tented bush camp, which is situated under a giant fig tree. The camp is simple, with a great bush atmosphere (firelight and lamplight), but has basic comforts like hot showers and flush toilets. It can accommodate groups of up to 20 guests. 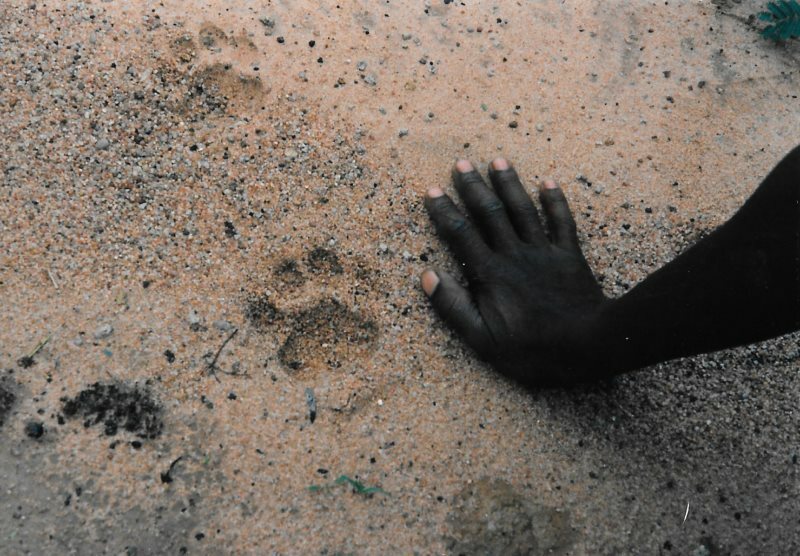 The courses available range from anti-poaching, tracking, survival, bush cooking, education, safaris and much more. 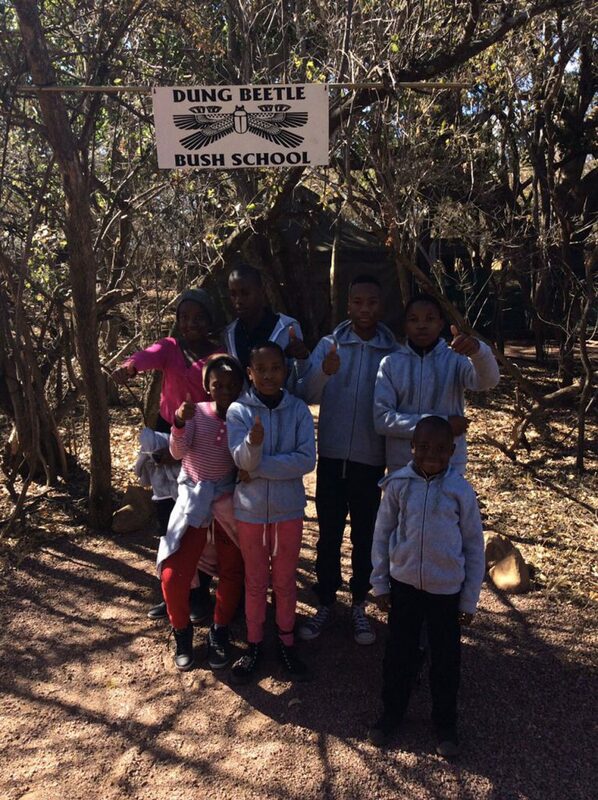 The bush camp experience is popular with international students and tourist groups. 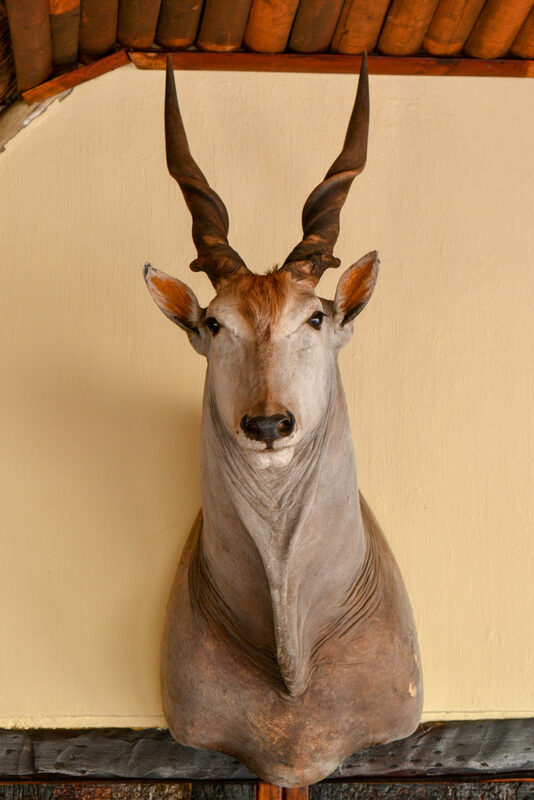 Hunting is a necessary form of management on all game and conservation properties, in order to manage game numbers and manage the male/female ratio of antelope and some other herbivores. On DWR, we conduct hunting during the winter when most females are not pregnant and the daytime temperatures are mild, which reduces the stress for hunted animals. Hunting is done in conjunction with York Safari Outfitters and our resident Professional Hunter, will accompany hunters during the winter season for a unique hunting experience. DWR staff members are fully trained to do caping, preparation of carcases and trophies for the hunter. Please note that we have strict ethical guidelines for hunters, which are part of our terms and conditions.